This brings us back to the Candaba rice field where this story began. Upon arriving in the adjacent small town, we were greeted by the local mayor, and then led by two farmers on levees between the rice fields. Some farmers also grow tomatoes, and when we figured out that tomatoes cost 30 times more in Alaska than in the Philippines, they jokingly hatched a plan to load my bags with tomatoes to take home and sell so they could get rich. A local conservation group trains famers to manage the cropland for birds and lead bird tours. The group recently started working with Manila tour companies to develop this trip for the public. Only an hour and a half north of Manila, this area has great potential to attract wildlife watchers while maintaining agricultural production. I was honored to be a “test tourist” and hope that providing a direct economic value to habitat management will help conserve this important habitat. As a sponsored invitee, I was fortunate to be able to travel to the Philippines to share the Alaskan perspective. 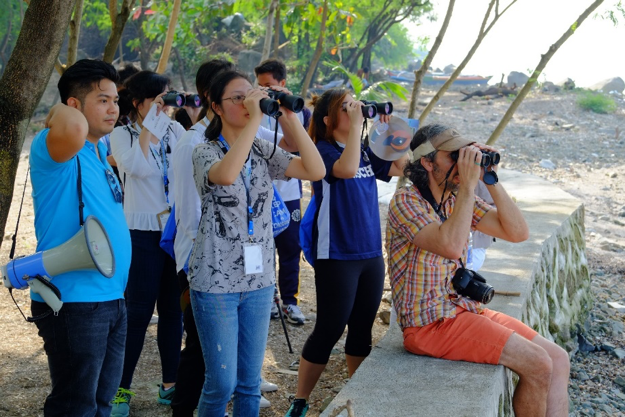 I made many contacts and connections that will be useful in managing birds and their habitat and will continue as we develop outreach activities that show how our shared migratory birds bring people together.